There are 78 reviews of Beyond Paradise for Men. The opening is a mix of white florals, mainly orange blossom and hyacinth, with a orangey/citrus vying with a rather generic bergmot for an accompanying role. There is an additional ozonic component in the background that expresses fruity-seashore characteristics whilst reeking of laboratory and syntheticness - or syntheticity, but not in Kant's sense. At this stage this is truly a cologne made of calones, and I can understand why some people hate it. Now the beginning oft the heart notes gives out another strongly synthetic burst, this times more on the aldehydic side, but later on this moves into the background, with the florals now taking over. Apart from a rather pleasant jasmine core, the gardenia, hyacinth and the occasional whiffs of muguet create an unexpected oasis of floral bouquets. They are underlined by a pleasantly executed honeysuckle that is not really extraordinary - this is no Creed Chèvrefeuille - but that provides a rather delightful grounding for the overlying potpourri. At this stage I appreciate its lovely moments and why to some people it is a beautiful creation. The base sees a continuation of the honeysuckle, a change of the floral side to less hyacinth, the addition of a somewhat weak hibiscus, as well as the ascent of an amber impression that is quite soft and a tad insipid. The performance is reasonable, with moderate sillage, very good projection and nine hours of longevity on my skin. A spring creation for cooler days that has its high and lows. Neither excellent nor truly awful, although in its worst moments it is quite bad, and in its best moments rather intriguing. Overall 2.75/5. Beyond paradise there might be not only hell - maybe purgatory. At the beginning I'm a bit put off with a strong synthetic opening that can easily overcome with liberal application. This is now my third time wearing this as I write, I've learned to not spray it too high on my neck and chest. It has good longevity and decent sillage and makes for a safe work scent, similar to a GIT with less iris notes and quality as this just oozes synthetics. Not a tragic scent by any means or one I would buy again, but it's set up to fail in my expectations as it's not even close to reaching the lofty acclaim set forth by Mr. Turin, IMHO. If you don't have GIT or vintage cool water and want to smell what an overdose of calone and hedione is try it. This is a better version of Curve Wave. Those who haven't tried Wave, to compare to a more popular fragrance, it's along the lines of Sean John Unforgivable. That said.. still a bit odd. Sort of a sour aquatic, very synthetic smelling. Has okay longevity for an aquatic, perhaps above average, but nothing like some of the Bvlgari aquatic's. Beyond Paradise for Men is essentially a green-tinted, fruity/woody composition in the manner of Cool Water and Green Irish Tweed, though more obviously floral in its heart than the former, and drier and more herbaceous than the latter. It’s also distinguished by a peculiar luminous quality that pervades its structure, the result, I assume, of some potent synthetic base notes that I cannot identify. It’s a nice, upbeat, casual scent, but having worn Beyond Paradise for Men for a while, I’ve come to find it disappointingly bland. In this crowded field Amouage’s brilliant Ciel, the grand old Grey Flannel, and especially the lamentably discontinued, (though still available) Rochas Globe all offer far more by way of depth and character. Strong synthetic hedione-helional-calone opening, which is supposed to be a plastic and somehow disturbing artificial representation of some refreshing/tropical/acquatic accord of melon, white flowers and some herbs (it quite smells of basil to me). Basically some ozonic deodorant with a strong metallic/synthetic feel. It may have been a little "new sensation" back then, but I honestly find it terrible - better say, "wearable" as any supermarket deodorant. I also find it fairly similar to Odeur 53 - which instead is more delicate and pleasant, and above all, it "declares" being some avant-garde minimal synthetic experiment. Not saying it's better (it is, by the way) but at least there is no "beyond paradise"/"cheap travel agency poster" marketing bullsh*t there. After a few hours I was finally able to put my finger on it - IMHO there is a problem with its 'sweetness'. The bulk of its notes give it a refined, grown up personality that, IMHO, has a lot of promise. But the nature of its sweet notes feels like an irresponsible 22 year old who wants nothing more to do with life than go clubbing. It's as though its trying elicit two personae at once: that of an elegant, refined grown up, (the dominant persona) and that of a youthful, carefree, rebellious youth (the secondary persona) -- only the two persona clash with each other rather than being evoked in harmony. I detected no hints of rotten melon or cucumber. But I can no understand why others have posted they feel this scent is somewhat discordant and all over the place. 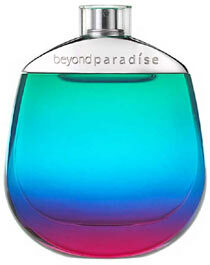 There are no member images of Beyond Paradise for Men yet. Why not be the first?